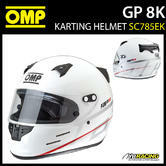 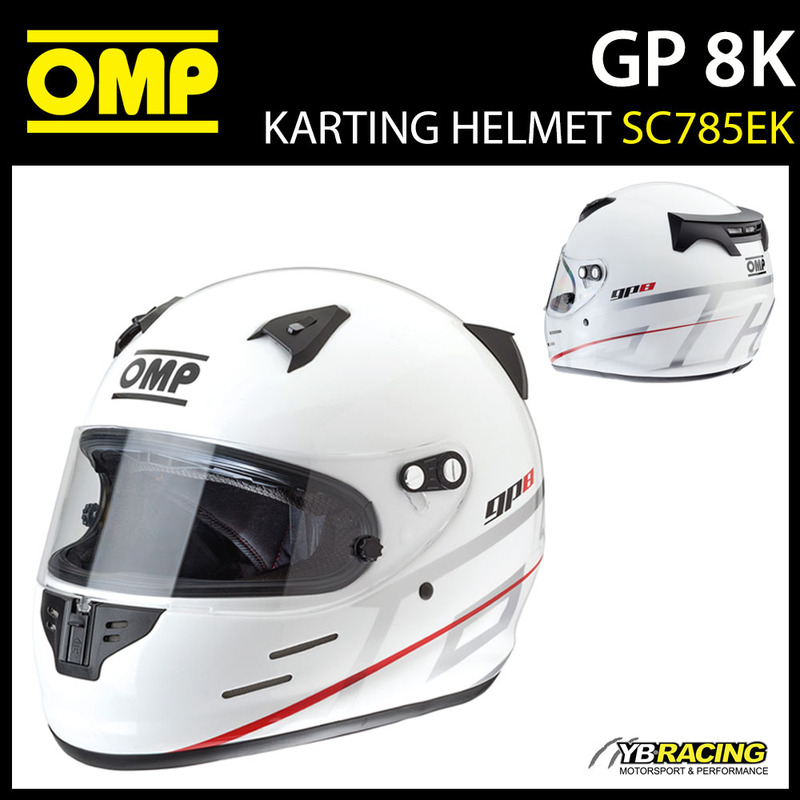 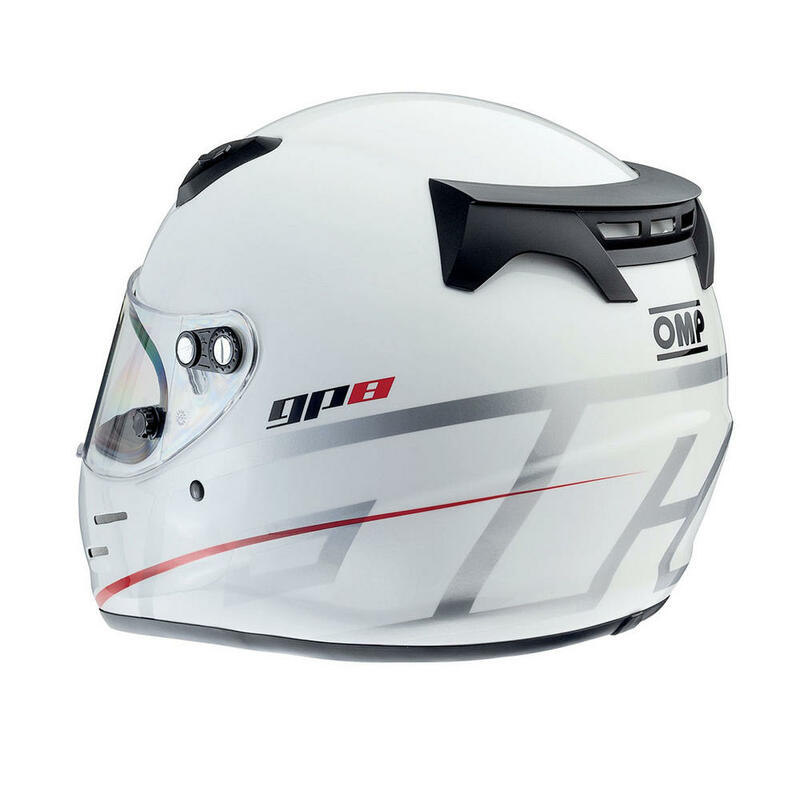 Description: Full face karting helmet made in composite material. 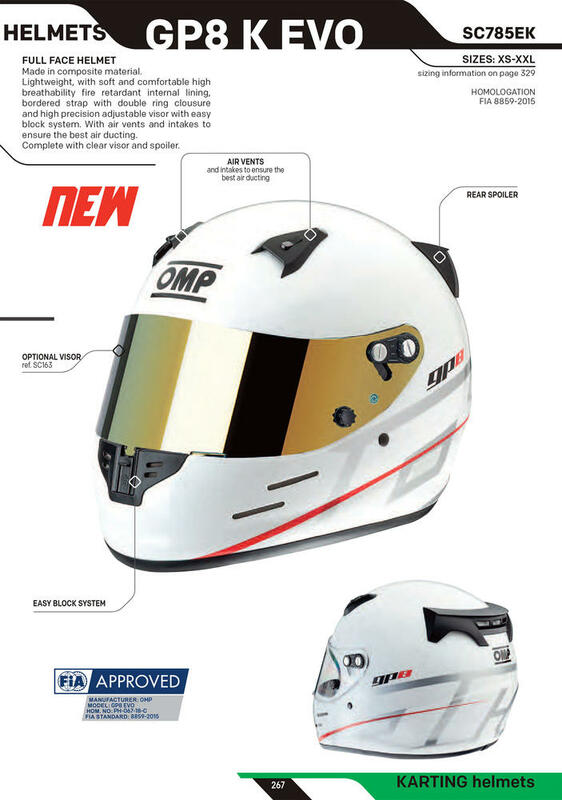 Lightweight, with soft and comfortable high breathability internal lining, bordered strap with double ring clousure and high precision adjustable visor with easy block system. 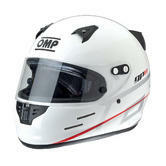 With air vents and intakes to ensure the best air ducting. Hans® clip compatible - not included. 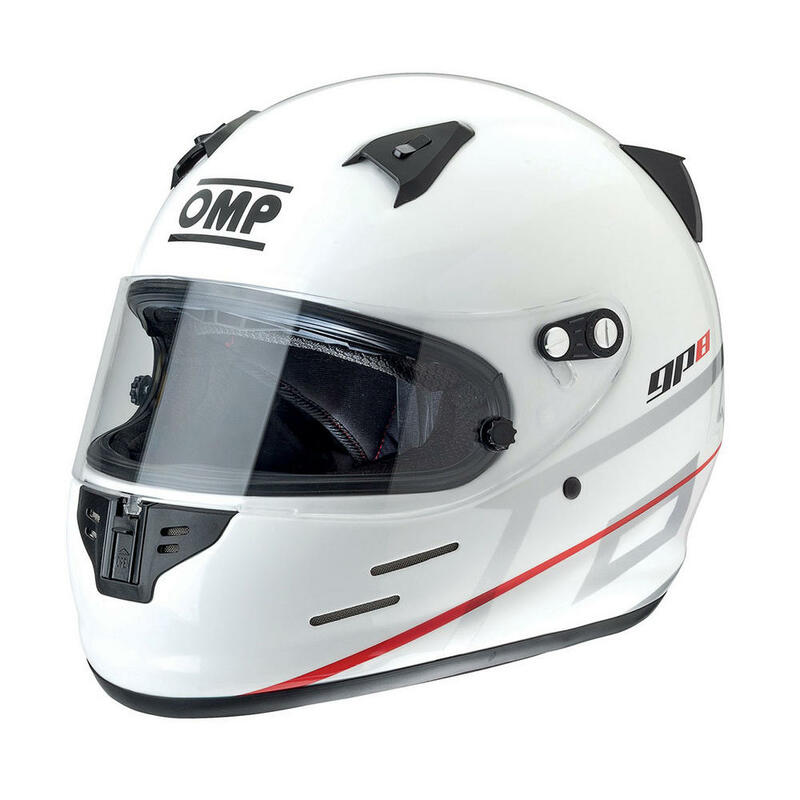 • With air vents and intakes to ensure the best air ducting.